And the pendulum begins to swing back towards Manhattan. For the first time in a long time, a restaurant that you’d typically expect to pop up in Brooklyn has instead decided to settle on the Lower East Side. 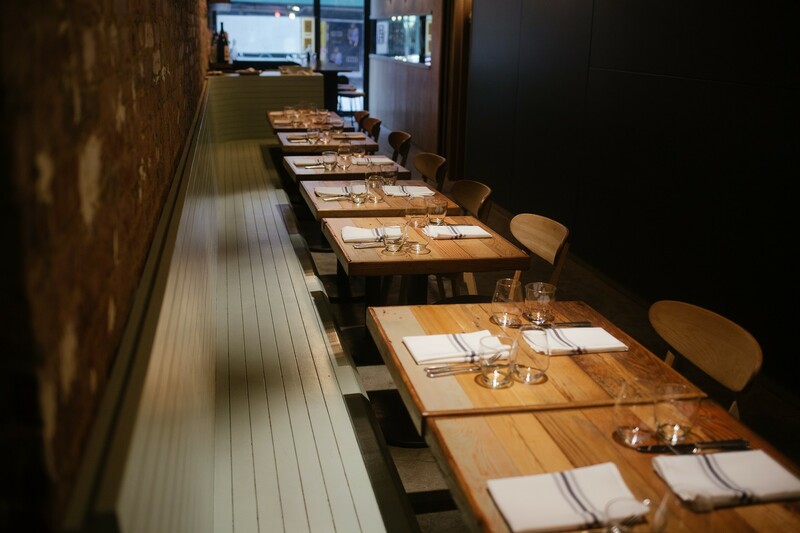 Contra, complete with its young risk-taking chefs, daily tasting menu, and earthen tableware, is now open on Orchard Street instead of on Bedford Street. It’s either the beginning of a trend, or the end of one. We’re not exactly sure which yet. Either way, Contra is important. It matters because it’s the perfect example of why this city is so f*cking great. What is possibly our best new restaurant of the year just managed to open with pretty much no advance press or hype, because everyone was busy paying attention to a bunch of other new places that probably won’t be relevant (let alone open) five years from now. Even our most enthusiastic of food enthusiasts seem to be still figuring out that Contra exists. But everyone is going to catch up very soon. You won’t find a $55 five-course menu that competes with this place anywhere in town, and that includes Battersby. Contra is better than both of those places by a long shot. And so just like we did, it’s only a matter of time before the old food world giants notice this place and crash in on it like a giant Godzilla with Instagram. The New York Times can’t be far off, Dana Cowin will soon be posting photos from her table three nights a month, and you won’t be able to get a reservation without an internship at one of those places. We just hope that Contra can manage to stay humble throughout the process. There’s already a little bit of dude-attude going on with the service here, and that’s likely to get worse as popularity increases. How they handle the pressure will probably dictate whether a city full of critical diners with lots of options will keep coming back. This isn’t Brooklyn, you know. The tasting menu at Contra changes almost daily, but take a look at the photos in the Food Rundown to get a sense of what’s available. Banzarbar is a small cocktail bar behind an unmarked door on the second floor of Freemans on the LES.